Arrow wraps are adhesive strips that come in various types and designs. You have probably seen these sticker-looking things before, wrapped around the ends of an arrow, but aren’t sure what exactly they are for. Some people think that they are just for decoration. However, experienced bowhunters will tell you that arrow wraps serve a much more important purpose. Why use arrow wraps? Here are some of the reasons why. One obvious reason for using arrow wraps, and what most people will tell you they’re for, is for aesthetic purposes. To put it simply, they make arrows look good. Arrow wraps come in a wide variety of colors and designs that you can choose from, which can certainly add a nice finish to your arrows. 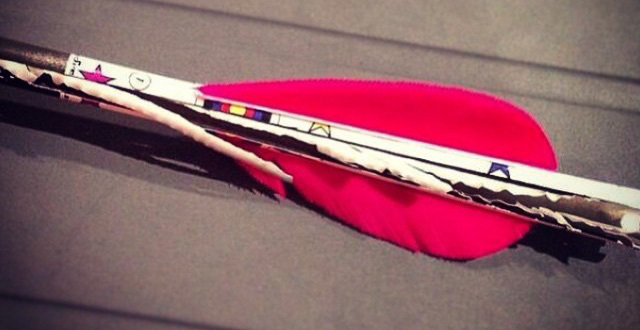 You can even add a piece of yourself to your arrows by designing your own wraps and having them customized. Having distinct designs for your arrow wraps is like labeling your arrows. It’s announcing to the word that these are yours, and help distinguish them from other people’s. It is a way to bring your identity to your equipment - a form of personal expression and a way to celebrate the wonderful sport that is bowhunting. You can even choose arrow wrap designs that will perfectly match your fletchers and the rest of your bowhunting gear. 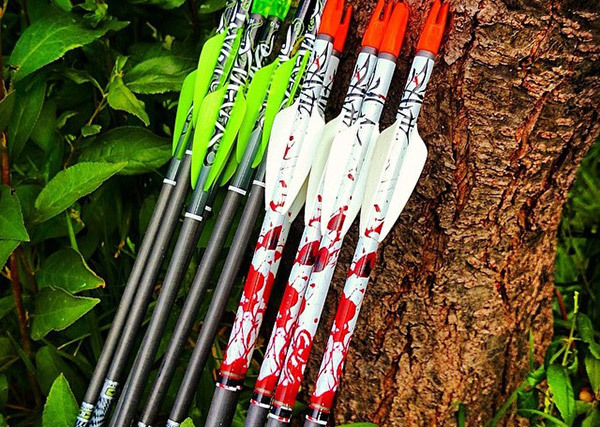 Because of the distinct designs and colors that arrow wraps come in, they can significantly improve the visibility of your arrows. Especially for times when you are having difficulty in hitting the target, and your arrows start going all over the place, they can be quite helpful. When trying to find your arrows among trees and rocks, arrow wraps that have a distinct appearance can be more easily seen and recovered. You wouldn’t want to waste precious arrows just because you can’t find them hidden in the terrain. There are even reflective arrow wraps that aid you in seeing your arrows even when you are hunting in the dark. These are also helpful if you want to be able to see how and where your arrow flies. When you are bowhunting, you will be able to get a good look at where the animal you were hunting was hit. There are also those you use white-colored wraps in order to be able to easily read the blood. 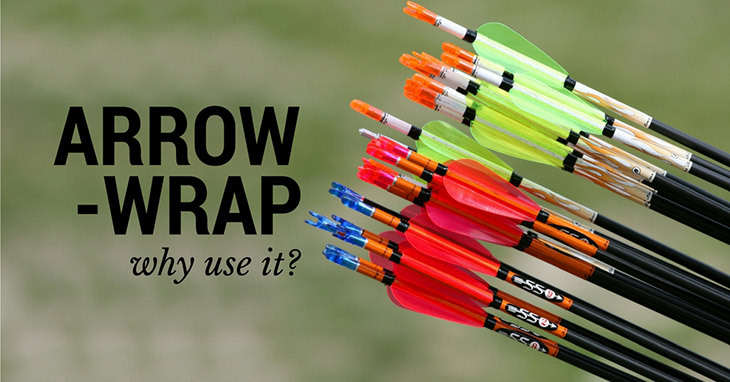 With arrow wraps, you can also make fletching a whole lot easier. Without arrow wraps, what you have to do is to clean and scrape off every bit of glue and fletching that are on your arrow. Sometimes, the fletching becomes fused to the shaft, and scraping this off may end up damaging your shaft. 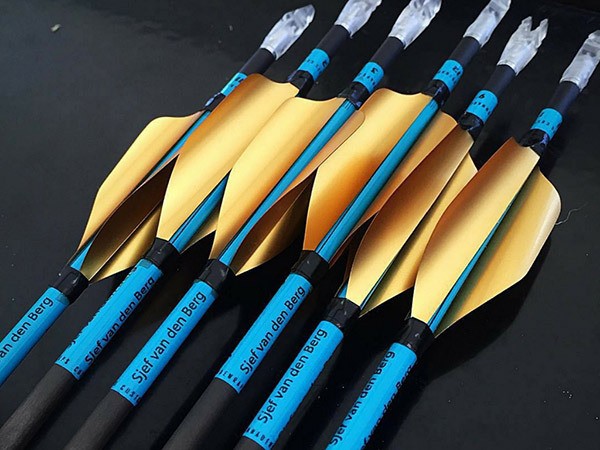 But if you are using arrow wraps, the whole process of fletching will become much easier. Instead of scraping off glue and vanes, all you have to do is carefully peel off the wrap from you arrow, and all of this will come with it. The amount of time and effort you save when fletching makes getting your own arrow wraps very much worth it. Moreover, it has been found that fletching sticks to arrow wraps way better than they do to the arrow shaft itself. The wrap can also provide added protection to your arrow. Although arrow wraps are very helpful in many different ways, it also come with certain drawbacks. Arrow wraps weigh and average of 1 grain per inch. For a lot of people, this added weight does not make a difference to the arrow’s flight path. There are even some cases wherein having arrow wraps make arrows fly faster. In other cases, however, arrow wraps really have a great negative effect on an arrow’s flight. The reduced front-of-center may cause an arrow’s trajectory to change or not fly as true. Another con of arrow wraps is that if one fletch gets damaged, you now have to peel off the whole wrap and replace all the other fletchings as well. Also, arrow wraps can be quite expensive as well, and will weigh heavily on your pocket if you keep having to replace them. There are those, however, that are on the more economical side. Arrow wraps may look like simple stickers, but they actually serve a great purpose to bowhunters. They provide your arrows with designs that not only look good, but allow you to integrate your own identity to your arrows. Aside from their aesthetic value, arrow wraps are very functional as well. When bowhunting, the distinct designs that arrow wraps come in can add to the arrows visibility, and help you track their flight and be able to spot them when they get lost. Comments and questions are very much encouraged, and we hope you grab a couple of arrow wraps to help you enjoy your bowhunting even more.